Do I have to rig up the caravan with awning and contents? It all depends on what you select. You can choose to rent out your caravan and ask rentees to pick it up at your home alternatively at an agreed location. You can even - on advance notice - ask to take the caravan to a particular campsite of your rentees choice. I want to rent a caravan and travel with it, but I am not sure if my car can tow it. 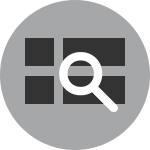 FDM has a good side that gives you good information about your car, driving license and what can and can not do. Click here. 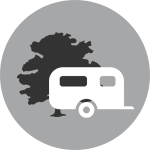 How do I ensure that if I rent out my caravan it comes back in one piece? You need to have a full insurance on your caravan and will have to contact the insurance company when renting out your caravan to discuss the conditions. The liability for any damages will be an issue between the renter and the rentee exclusively and not camptravel. We recommend that both before and after a rental contract has been entered that you jointly inspect the caravan for damages, missing and broken items etc. How much is the fee for accessing the camptravel portal? Signing up on camptravel is free. 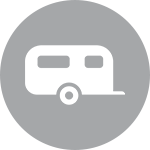 If your caravan is rented out you will receive your specified rent and pay a 3% service fee to Camptravel. The tenant pays an additional 12% incl. VAT to Camptravel. What is the price for rental of a caravan? The overall holiday scenario is composed of your rental of the caravan - a transaction with the owner - and your stay at a campsite. Your transaction regarding the rental will be handled by camptravel.net - while the cost associated with the respective stay at a campsite will be the number of nights/persons/usage of electricity etc. The latter will apply for both fixed as well as movable caravans and hence it is a good idea to check this in advance and making a reservation when your caravan is movable. In other terms, you may view the context as a car rental and your search for a hotel afterwards, only difference is that the car (caravan) in some cases may be fixed :) and already at a hotel (campsite). If I have a seasonal pitch at a campsite – can I rent out my caravan to others? This depends on the rules and regulations that applies when signing up with the campsite. Consult the campsite regarding this. Campsites that are members of camptravel will in accordance with the rules of camptravel allow seasonal campers the option of renting out their facility to third parties, however each rental needs to be informed to the campsite in advance. Applied fees for the rental, i.e. person fees, electricity and pitch fee will still have to be paid by the rentee. The camptravel campsite member will not have any obligation in terms of helping out on technical issues and key handling. Some owners will allow pets in their caravans, however there may be an additional deposit or charge associated. Check if it is indicated/allowed in the description of the caravan. What if there is additional questions regarding my hire? The owner of the caravan should be contacted upon an agreed rental. He/she is the one who knows the caravan best.